Samples for all the colour options can be ordered online via the online store. High gloss solid colour surfaces. 100% waterproof, stain resistant. High gloss remains years after installation. High gloss, high sparkle, high impact colours for added bling. Sparkle will not fade and keeps gloss years after installation. Natural look granite finishes hand made from solid composite resin – all the look of granite, 100% waterproof. 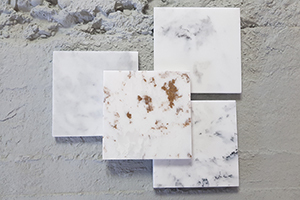 True to life cultured marble colours – all the appearance and feel of a real marble whilst being waterproof and stain resistant. 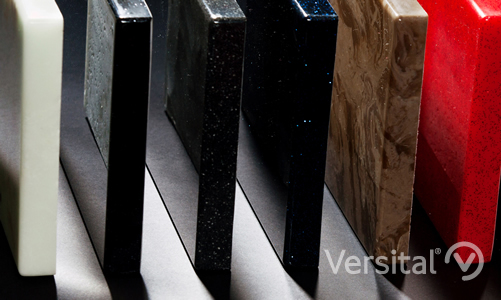 High gloss solid colour finishes available in the entire Versital product range. Find out where you can see Versital.